Home > Lifestyle > What is the Difference Between an Introvert and an Extrovert? What is the Difference Between an Introvert and an Extrovert? We’ve all heard the terms ‘introvert’ and ‘extrovert’ at one point or another in our lives; but what exactly do these terms mean? Introvert and extrovert are two quick and easy ways to describe the personality of someone, and they differ greatly from each other. We are going to take an in-depth view at the difference between these two types of personalities. One of the biggest ways to determine whether or not someone is an introvert or an extrovert is to examine the way in which they deal with problems. An introvert will always be in their own head, trying to figure out how to deal with the situation on their own. On the other hand, an extrovert will be asking others for help and for advice to help handle their situation. Extroverts like to talk through the situation with others surrounding them, while an introvert will always keep quiet. Much like dealing with a dilemma, an introvert has a difficult time. They do not like change one bit and will have to take a lot of time to get used to all of the changes. However, an extrovert lives for change. They love to switch things up often and get a certain happiness from abrupt changes. They thrive on the unknowing, while an introvert likes to have everything planned out- and they definitely don’t like when these plans suddenly switch course. For an extrovert, having fun and relaxing is all about spending time with friends. They love to be out with their loved ones having fun, whether it’s going for a night out at the club or going out for a dinner party. They find relaxation by being around others, and they especially love to be outside of the home as much as possible. You could certainly refer to them as ‘social butterflies’, and spending time by themselves all alone is anything but relaxing. As for the introvert, they find the most relaxation completely secluded from the world. They’d love to snuggle up with a good book and hot cup of cocoa or watch a movie alone. If they do have someone around, it’s likely to be just a single, very good friend of theirs. As we aforementioned, an extrovert could easily be described as a social butterfly- so, you guessed it; the extrovert has TONS of friends, and most of them aren’t too close. She may have a treasure trove filled top to bottom with guys and gals she consider friends! An introvert prefers to keep her circle incredible small. She will have a few special buddies that she is incredibly close to; you couldn’t break their bond even if you tried. She’s not keen on new friendships and it takes a LOT for an introvert to open up to someone, let alone make them an actual friend of hers. 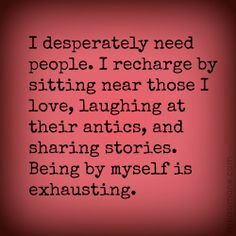 An extrovert loves- and I mean LOVES- to meet new people. And not only does she absolutely adore it, she is really good at it too. An extrovert is a super chatty girl that can easily talk to anyone around her. Introverts tend to have a harder time meeting new people. They are referred to as ‘shy’ and have a difficult time striking up a conversation with someone they don’t know. Extroverts love being the center of attention, so they are most likely to wear outfits that will steal the show. For example, an extrovert may opt for some wildly colored hair or outfits loaded with jewels, feathers, and trinkets, all in the art of catching the eye of everyone around them. They aren’t afraid to be wild with their look and love all the comments and compliments they may receive along the way. Introverts are a lot more likely to stick with calm, casual tones and earthy shades when it comes to hair and makeup. Extroverts tend to lash out when they are upset; in other words, you will definitely know if an introvert is mad at you. They will want to talk about the situation immediately, even if it means you both end up yelling and screaming at each other. The introvert, during an argument, will get incredibly quiet and reflect on the situation in her own head before making any movements on the matter. For some extroverts, it may be hard to settle down with one person; and if they do, this individual has to pay them a lot of attention to keep their attention meters full. They’ll love to go out on the town with their lover and flaunt their relationship to the world, not caring who sees. Introverts like to be in relationships, although it may take some time before they take that initial step into a closed relationship. While in a relationship, introverts love to do at-home dates or something simple and quiet. They enjoy romance as much as the extrovert, but don’t like to showcase their love with PDA. The great thing about life is we are all different. 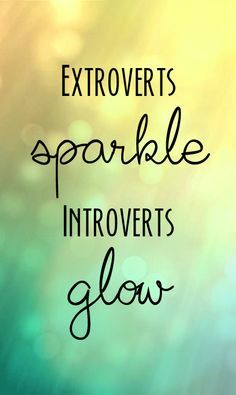 Some of us are introverts while others of us are extroverts. At the end of the day, we all need to compromise with one another, and both of these personality types are great at this. 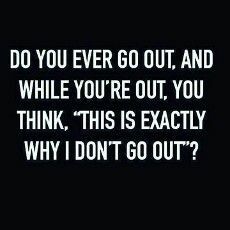 For instance, if your friend is an introvert and you’re an extrovert, switch it up: one day you drag them out to a dance party, the next night you stay inside and do something simple. Extroverts and introverts can be really great friends and lovers as long as there is compromising to make both personalities happy! After reading through this list of differences between an introvert and extrovert, which one do you think you are? Would you add anything to this list? Let us know!